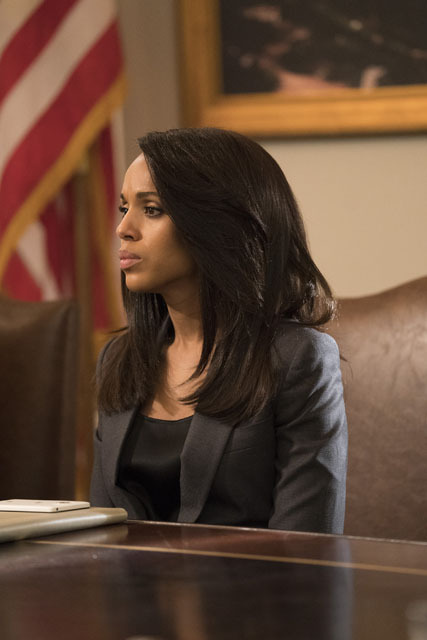 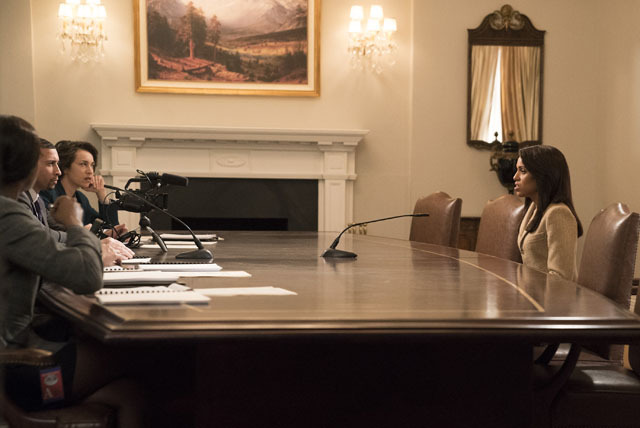 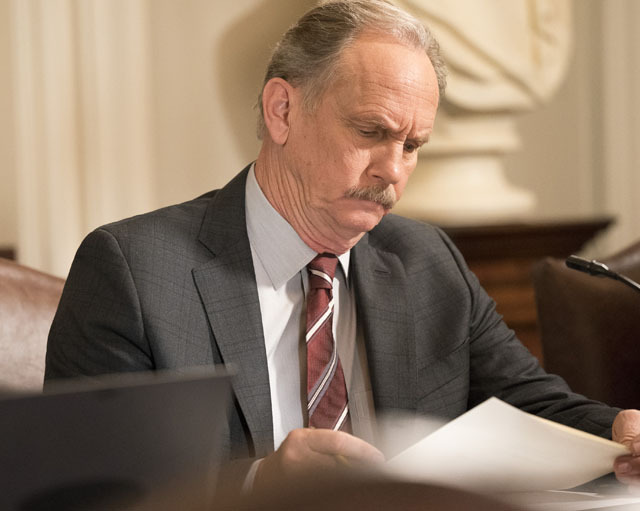 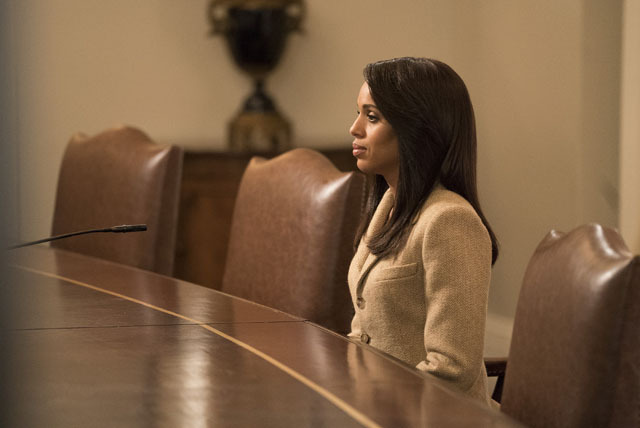 Olivia (Kerry Washington) tried to find another way to deal with Cyrus (Jeff Perry) that didn’t involve killing him on the latest episode of Scandal. 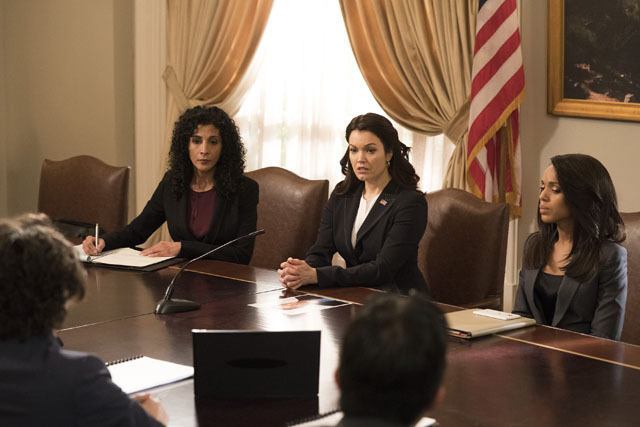 On Mellie’s (Bellamy Young) orders, Olivia orchestrated a meeting with Cyrus and she was accompanied by Huck (Guillermo Diaz). 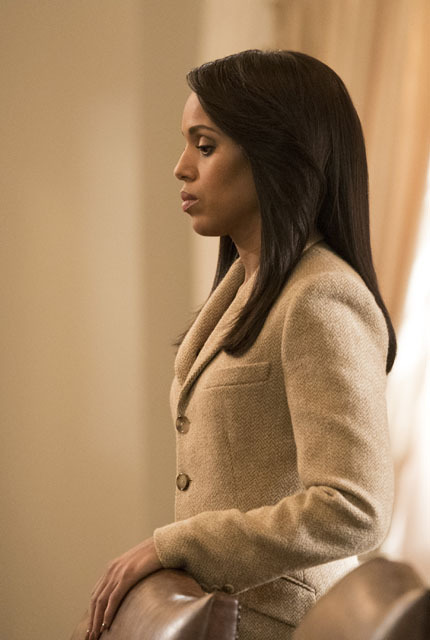 Olivia planned to persuade Cyrus to drop his plan but took a bottle of poisoned wine with her to kill him if he refused. 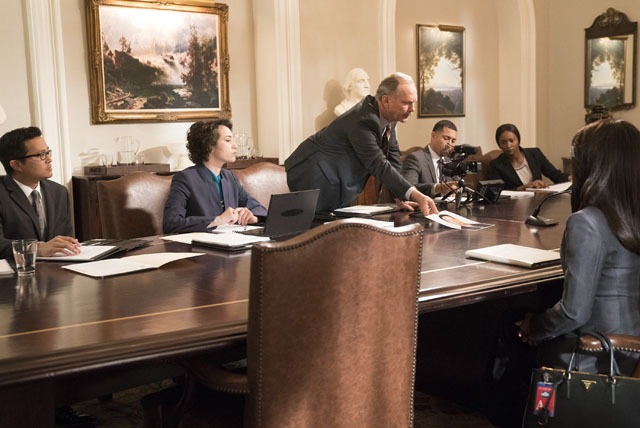 Jake (Scott Foley) interrupted them and exposed Olivia’s plan and Cyrus lived to fight another day. 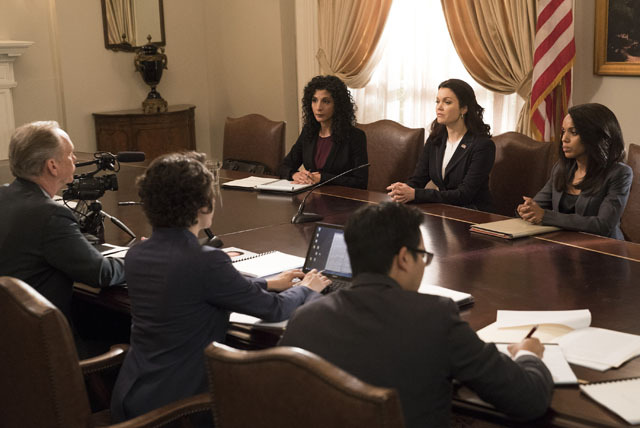 Meanwhile Quinn (Katie Lowes) and Abby (Darby Stanchfield) tried to find the hacker that Cyrus used to hijack Air Force Two. 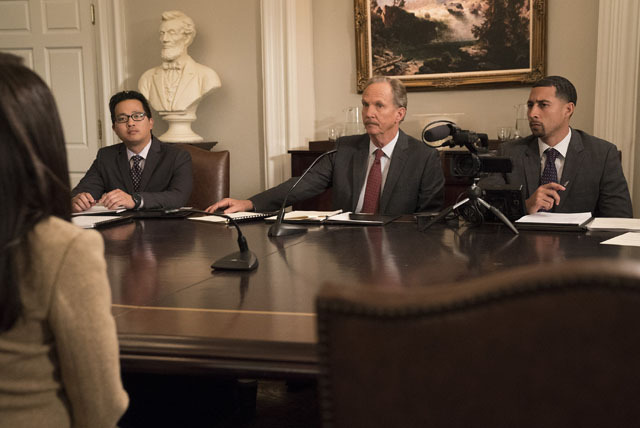 They did manage to locate him but the hacker had been murdered. 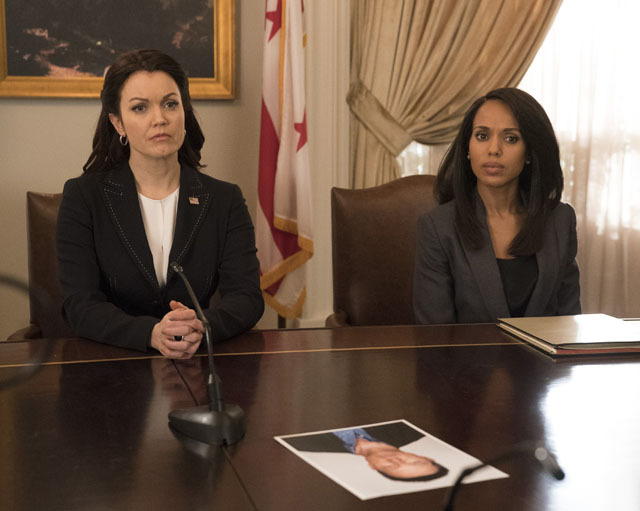 Elsewhere Mellie’s approval rating dramatically dropped, Olivia and Fitz (Tony Goldwyn) slept together and Jake killed his wife before restructuring his agreement with Cyrus. 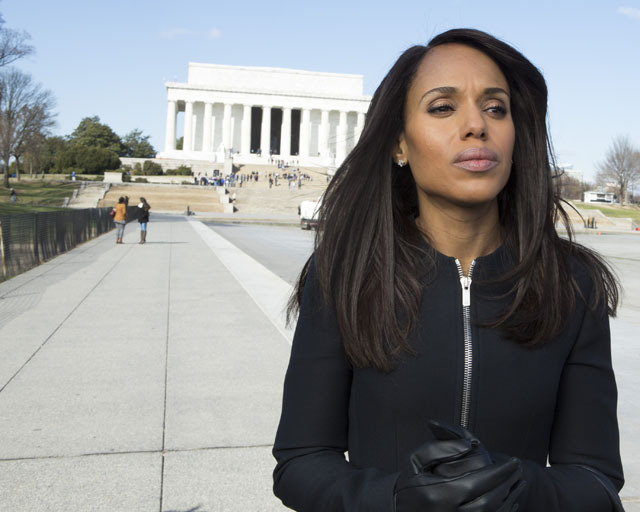 The next episode is Standing in the Sun. 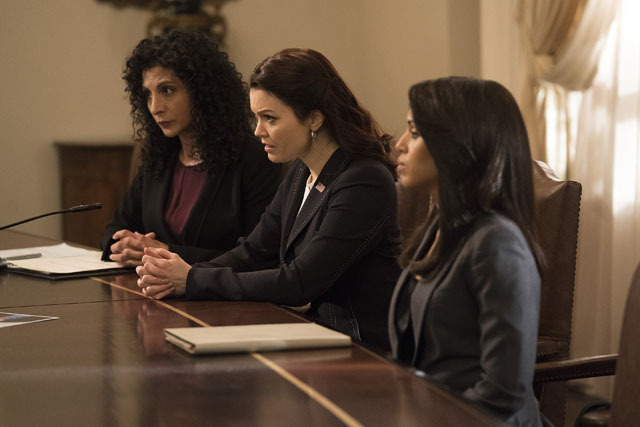 Cyrus and Jake’s mission to take the White House reaches a new level of deceit when Liv is called to testify against Mellie.